There’s a constant stream of Apple patents coming from the US patent office, but the latest one is unusually interesting. Bearing number 10,129,503 and dug up by AppleInsider, the patent is for an image-capturing watch that “may include two cameras”. While the addition of a camera to the Apple Watch is a logical move, after the voice calling capabilities it already has, Apple is aiming for a more advanced implementation, if the patent can be used as an indicator for the company’s plans (and that's usually what patents are). The device described in the patent (and shown in the drawings below) has two cameras that are positioned on the band of the watch. Both cameras have wide-angle lenses that allow them to capture the user’s face from two different angles. You’re probably wondering “Why is that needed?” and the answer is: multiple reasons. First, Apple wants to counter the low-angle viewpoint that is inevitable when using a camera placed on your wrist. If you want it to have a frontal view of your face you have to either tilt your head down too much or hold your wrist up, both of which are uncomfortable and unnatural positions. This is where things get interesting. Using the video input from both cameras and some heavy post-processing, Apple wants to create a combined image that shows the user at a more flattering angle. The watch should be able to precisely track the face of the user from two cameras, combine both images and create a realistic looking representation of the person’s face, all in real time. This will require some clever software backed by serious computing power, all within a watch. Definitely not impossible, but such a device is likely at least two years away from reality. Another use of the cameras is so that the watch can automatically track the face and crop the wide field of view so that the final image is focused on the face. This will allow users to somewhat freely move their hands without having to worry that their FaceTime partner won’t see them. And if the other party is using an Apple Watch as well, they'll be able to properly see that face and not just a bunch of pixels on the tiny screen. The description mentions that the device can also use a single camera or different lenses, including “long-focus lens, macro lens, zoom lens, apochromatic lens, fisheye lens, stereoscopic lens”. 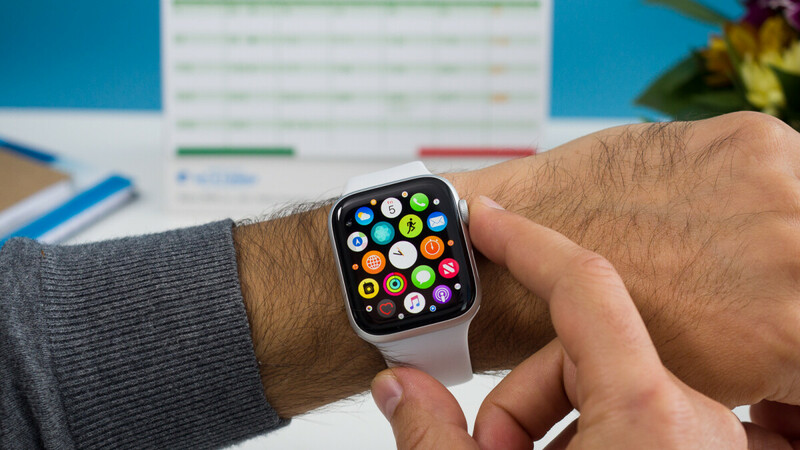 Those might come on different bands, allowing users to pick and choose the ones that fit their needs, since Apple’s intentions are for the cameras to be used to record all sorts of videos and not only for FaceTime. Will we ever see a product like the one described above? It’s hard to say, the gap between patent and product is quite large, but so is Apple’s capacity to fund research and development projects. It’s entirely possible that one day we’ll be introduced to the Apple Watch Series 5(6?) that’s sporting two cameras without showing the insides of our noses. I can see it now...FaceTime bands start at $249...Come on Apple...we are getting slammed by higher cost every year...So an Apple Watch 44mm will cost $429 + another $249 just to FaceTime. yes, higher prices for the consumer, lower production costs for the company (by whatever mean necessary without regard to human beings or to environement), how else can you make filthy rich investors and shareholders richer? This is what the innovation looks like. I’m loving all apple products. Please post a link to the last smart watch that had FaceTime on it. Since FaceTime is an Apple-only product, this won't be possible. But in 2014 you could have Skype and Hangouts video calls with the Galaxy gear (in piss poor quality though).